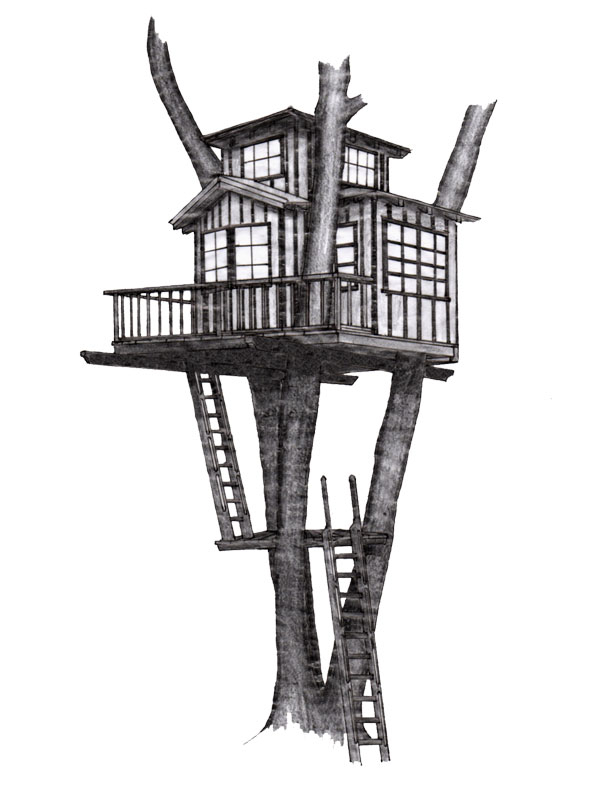 I built this treehouse for a client who doesn’t own a garden or a tree, but still wanted to see a little treehousedream become reality. 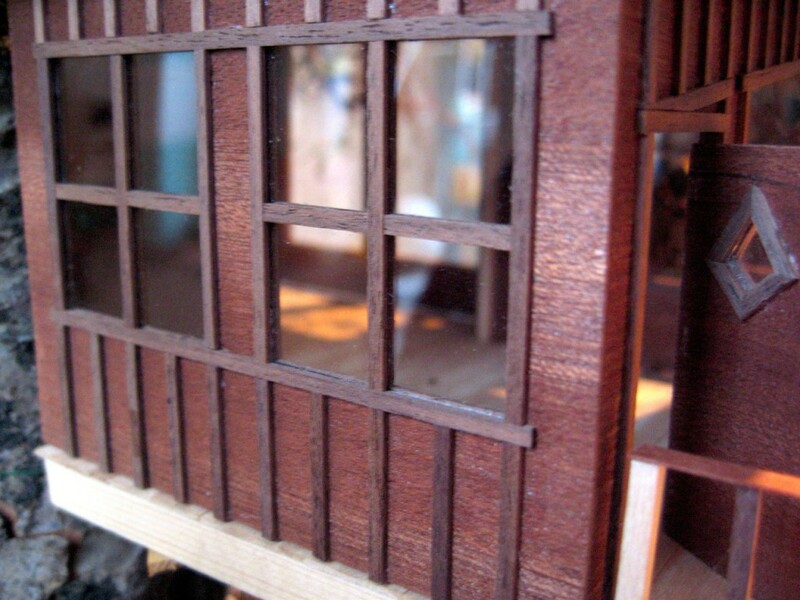 He won’t be able to spend a night in there or enjoy a glass of wine on the 12 square inch porch, but I know from my own experience that it can produce a similar nice feeling to just imagine doing it. 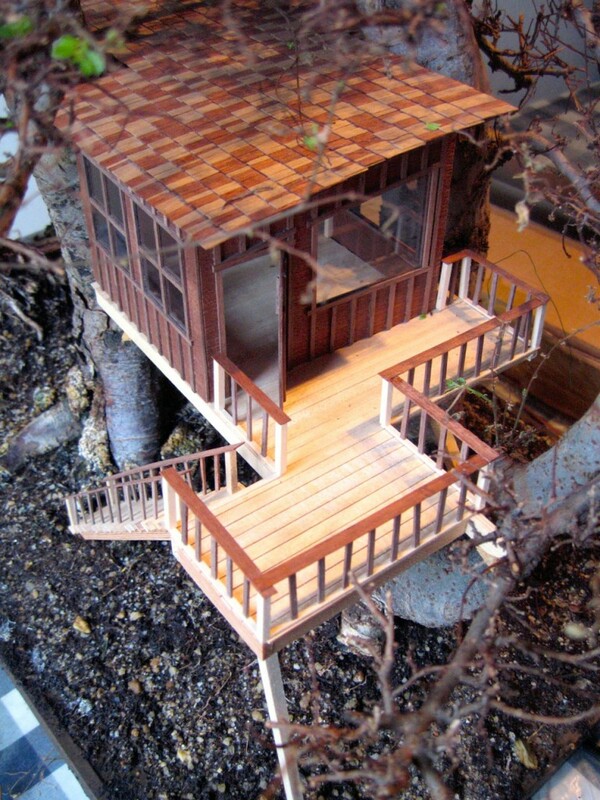 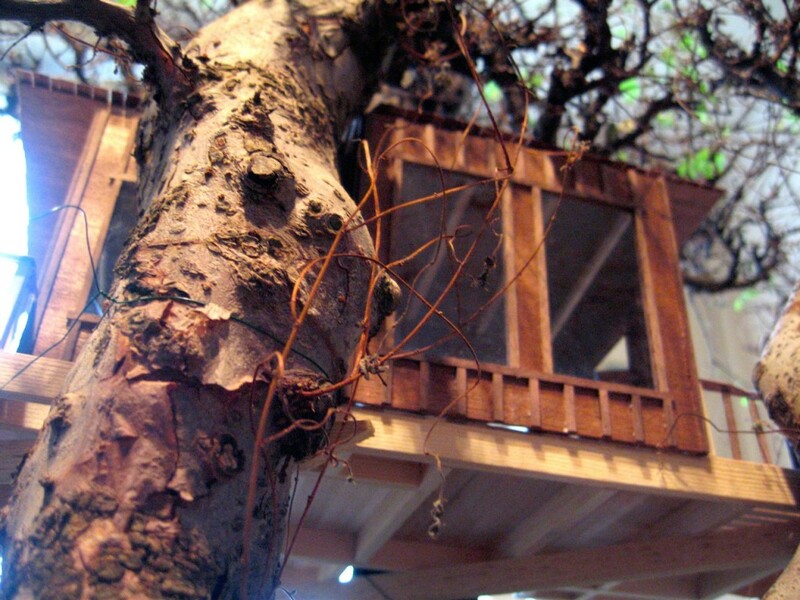 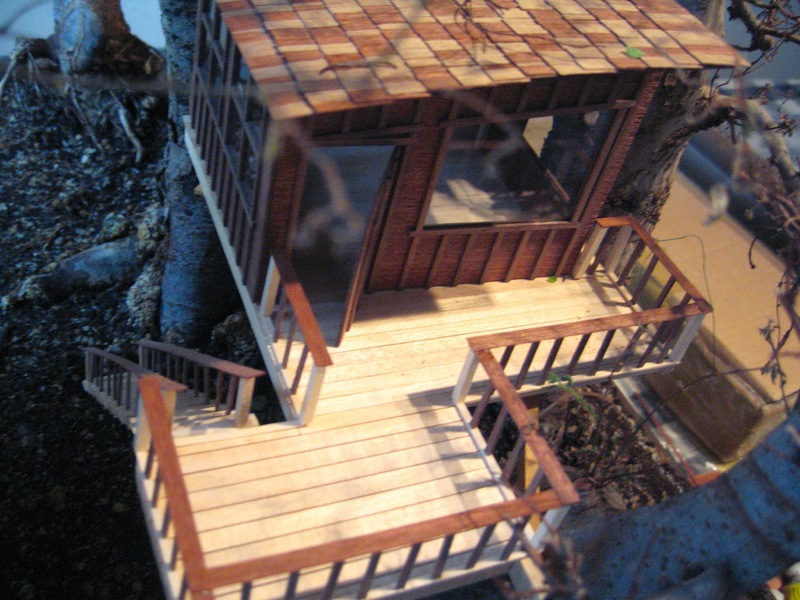 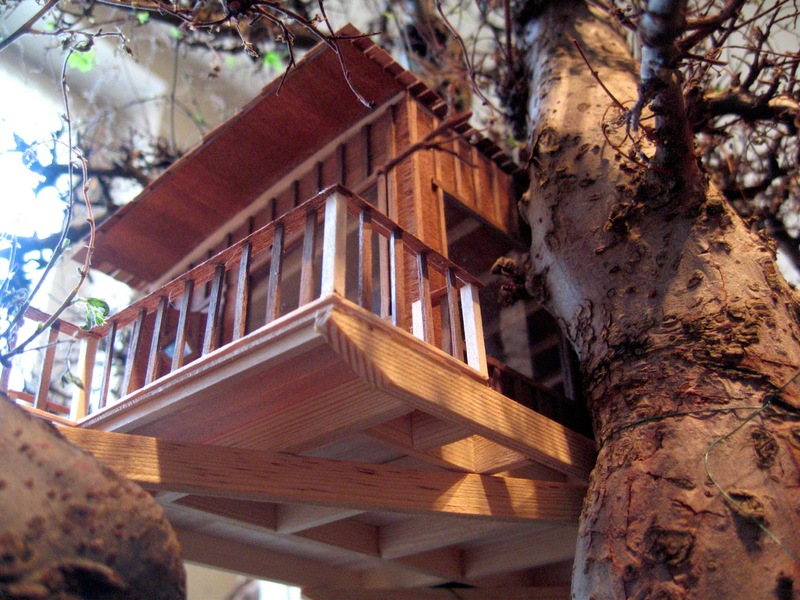 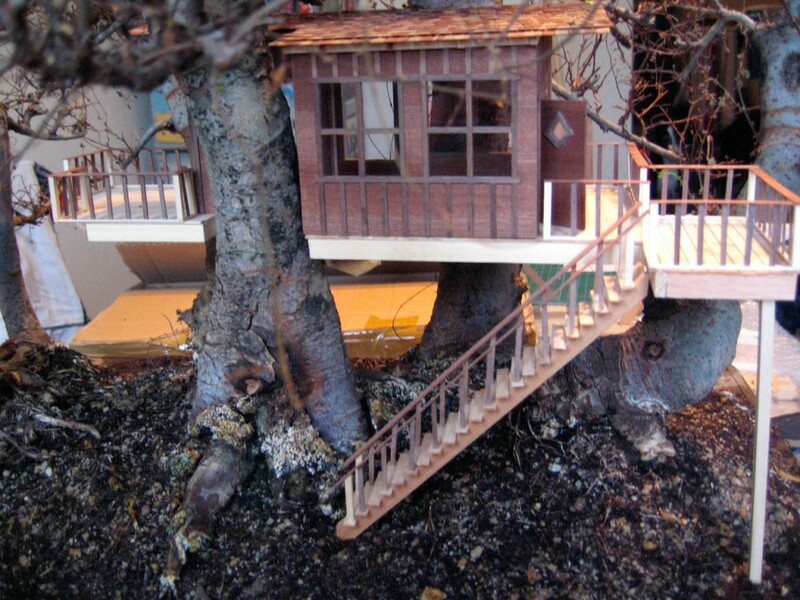 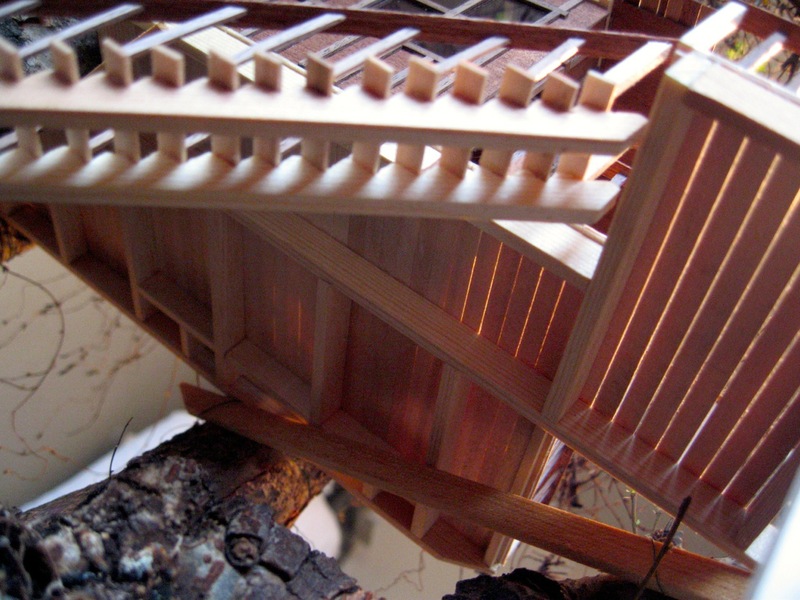 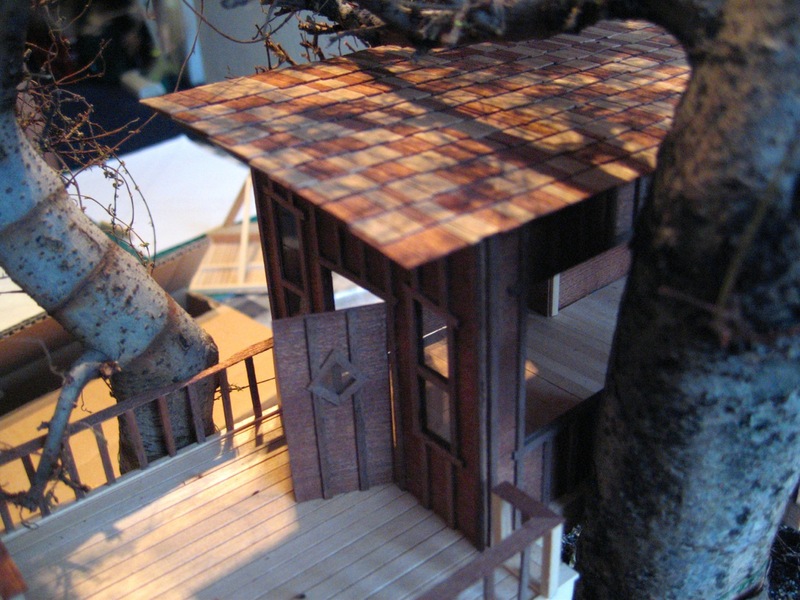 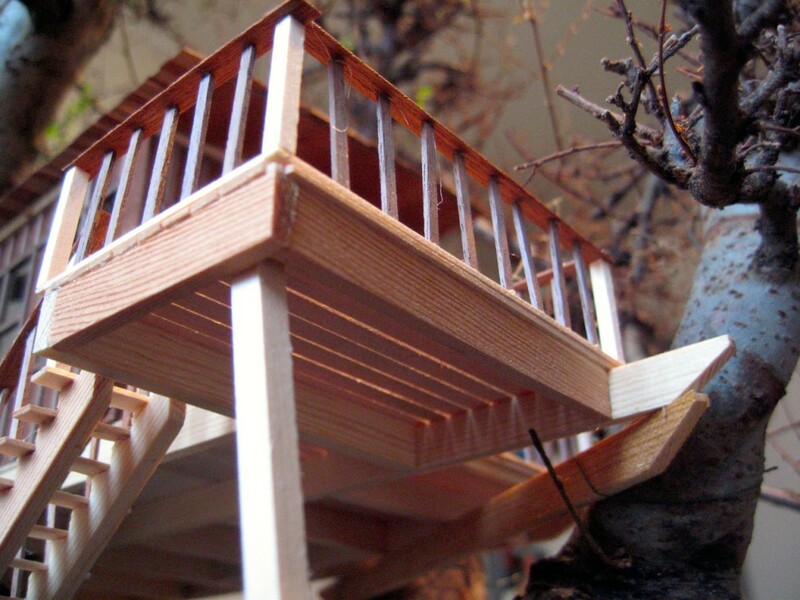 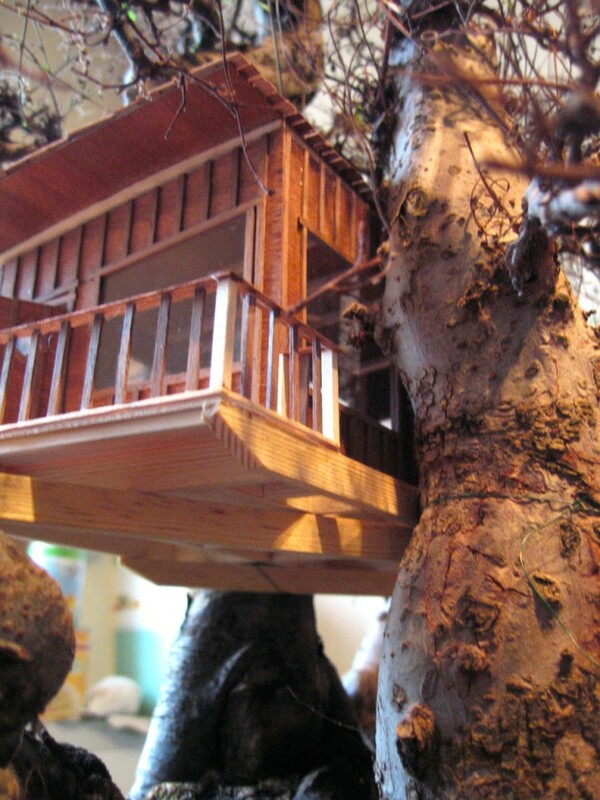 And who knows: maybe this treehouse grows up to an inhabitable size over the time.